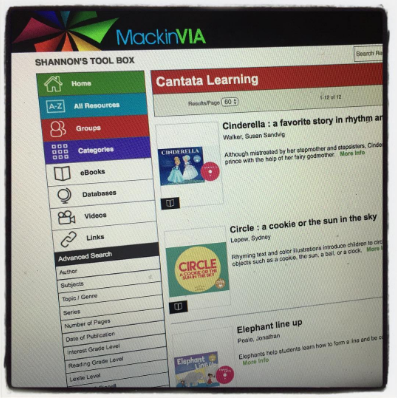 Sing, Read, Learn & Celebrate Communities With Cantata Learning In MackinVIA! 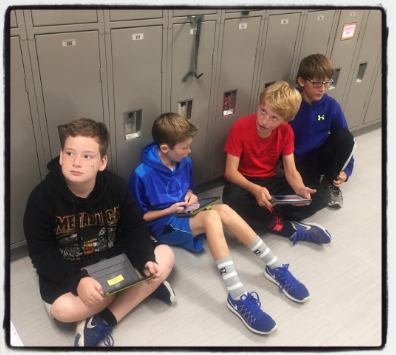 I am crazy about a new Group I just created in MackinVIA! It is for all of my Cantata Learning eBooks that were just added this week. I must say this is a wonderful place to be. 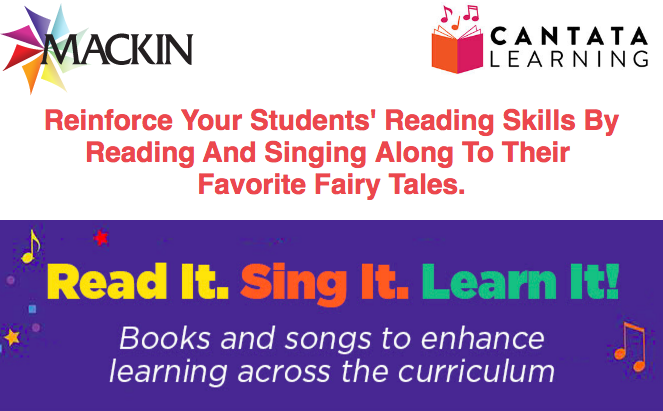 Cantata Learning books combine engaging stories, delightful illustrations, and fun songs to captivate young learners, build literacy skills and instill a lifelong love of reading. They shine on in your library and also online with the eBooks and songs. 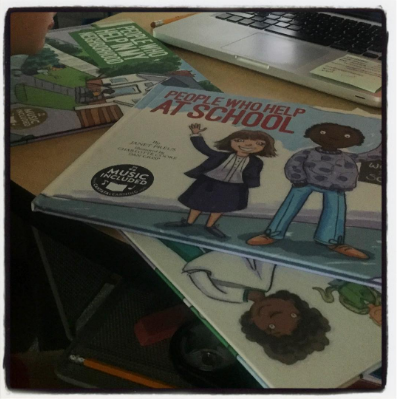 You do not want to miss bringing them to your students in the library, classroom and at home too. And you don't want to miss the brand new Harmony Project from Cantata Learning that we kicked off in September! Harmony Projects are inspired by Cantata Learning books and songs but are an opportunity for your students to showcase their creativity in a variety of ways from writing stories and poems to creating videos, songs, recipes, artwork, stories and more! 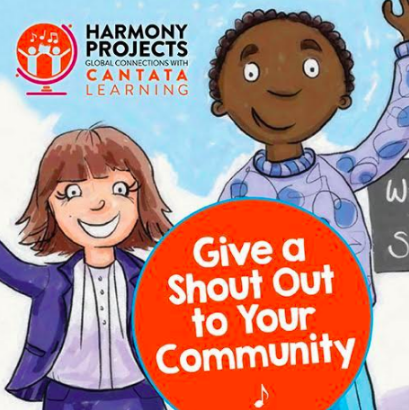 This Harmony Project, Give A Shout Out To Your Community, encourages children to celebrate communities of all kinds and gives them a voice in sharing what is special about their community too! Please watch this short message from my friend Kat and I as we tell you a little bit about this very special global project. The Give A Shout Out To Your Community not only celebrates communities but teaches students important social and emotional skills like sharing, listening and cooperating along the way. There are lots of ways your students can give a shout out to their community. They can make up a dance, write a story, create a wooden or virtual model, write and sing an original song or rap, and work with the local news station to produce a commercial promoting things around town. The ideas are unlimited and we can't wait to see how creative you and your students will be with this Harmony Project. A Community I'm Curious About. You will find all three of these projects here with ideas and resources to help you get started. Please join the global project here. My friend Tracy Ferguson is a 2nd grade teacher in Van Meter, Iowa. 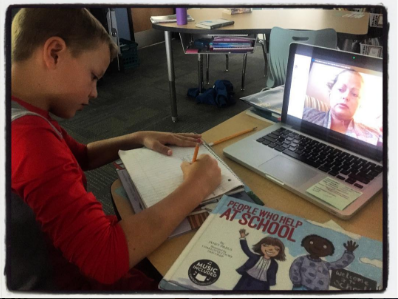 When I told her about the Give A Shout Out To Your Community project, Tracy and her new 2nd graders sent me a few video clips that we put together in a short video using iMovie. 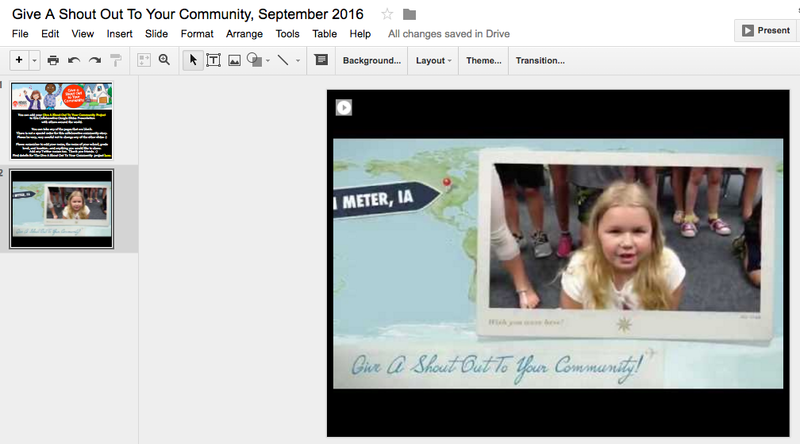 You can watch our 2nd grade friends giving a shout out to Van Meter, Iowa above. I know this will inspire you and your students as these projects are being are planned so please feel free to share this with them and others. This is just the first project to be shared. Soon there will be projects being completed all over the world. You might be asking what you do once your project is complete. You go to the bottom of that page and click on Submit Your Project. This will take you to the Google Slides presentation we have set up. The directions are included on this first slide. You will add it to a new slide. Please make sure you include where you are from, the age of the students, and what you teach. You can add as many slides as you need for your project. Please be careful not to make any changes to the format or others slides. When the project has ended, I will take this presentation and upload it into FlipSnack to create a flippable eBook that we will publish and share online globally. Also, don't miss out on the People In Your Community Meet and Greets we are hosting for 6 weeks during the project. You can register for each one here. Our first Harmony Project Winter Around the World was a very special experience. 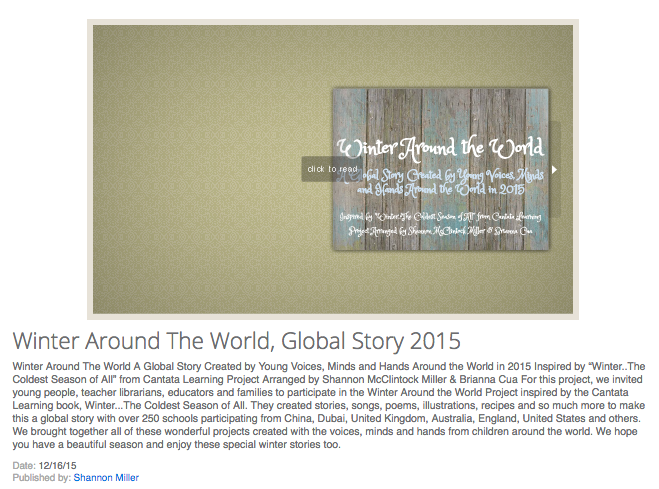 We had over 250 schools around the world contribute to the global story celebrating winter. You can go to the Winter Around the World Flipsnack to see all of the amazing creations showcasing winter. The eBook will give you many ideas for what your Give A Shout Out To Your Community project might look like too. So get those creative juices flowing friends....We want to hear everyone shouting and sharing from communities around the world! 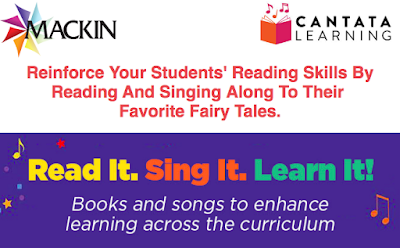 You can order all of the Cantata Learning titles at Mackin.com. Remember....they make a super fun addition to your MackinVIA too! The Harmony Project and Cantata Learning will be the perfect way to pull in a wonderful global, connected and creative experience for our students to kick off the school year! We can't wait to connect with all of you too. Please join our project and be part of the global community story with your students too! 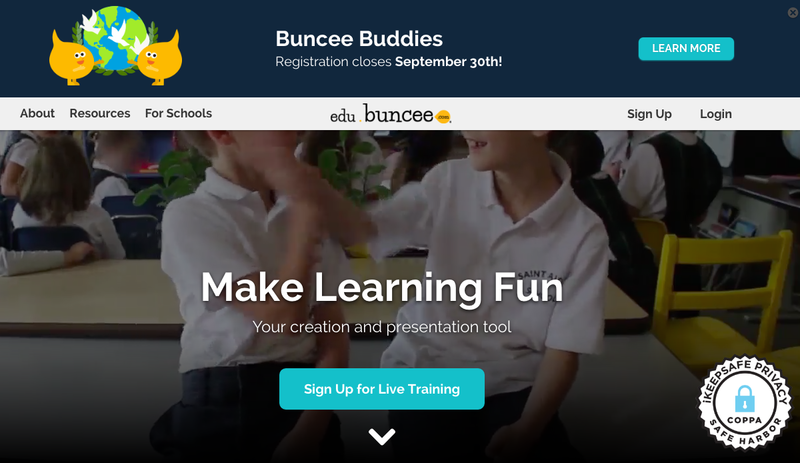 Honored To Be A Buncee Ambassador.....You Just Have To Try It Out Too! 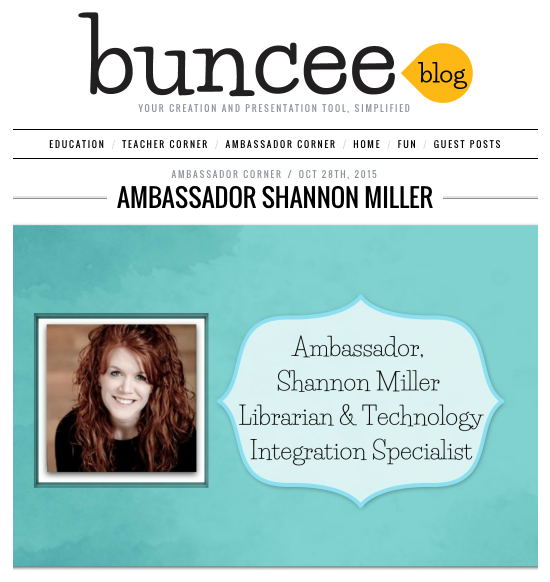 I am so honored and proud to be a Buncee Ambassador! There are tons of reasons why I love Buncee and think it is the must have for every classroom. You can read all about my love for Buncee here. Also, you just have to check it out for yourself! 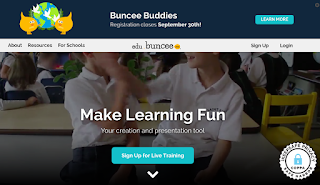 Click here to get start today.....I know you will love Buncee as much as I do! Join Us For Our Visit To The Optometrist For The Third Meet & Greet With Cantata Learning! We are getting ready for our third People In Your Community Meet and Greet next week and we don't want you to miss this one! The Meet and Greets are a very special part of the Cantata Learning Give A Shout Out To Your Community global Harmony Project. There are children and teachers all over the world creating songs, stories, art work and more to tell the story of their community and share it in our wonderful global story and celebration. The Meet and Greets give people in our communities a chance to share their job and story with our children too. On Thursday, October 6 at 10:30am EST we will be going to the eye doctor LIVE with Michele Griffith's kindergarten and first graders in Brazosport, Texas! 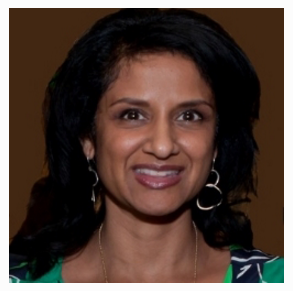 Dr. Alpa Patel is an optometrist in Denver, Colorado. She owns her very own practice, Urban Eyes Vision Care and serves her community by helping people see better. This is such an important job and person in all communities so we want to bring Dr. Patel to all children through this Meet and Greet. You can watch with your students by registering at this link. Don't forget to check out the first two Meet and Greets with Chef Jason and author, Michael Dahl. You will find the recorded sessions here. The last three Meet and Greet's are something you don't want to miss either. Make sure you register for all three of them here. 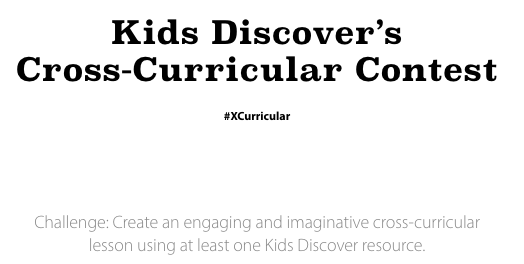 Check Out The XCurricular Contest From Kids Discover! Our friends at Kids Discover announced something very special this week. 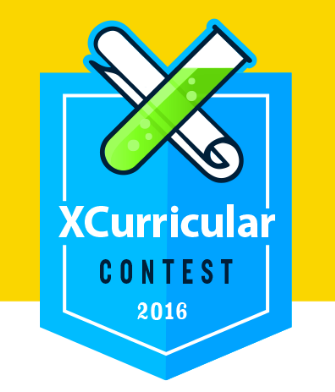 It is the XCurricular Contest 2016! They are challenging you to create an engaging and imaginative cross-curricular lesson using at least one Kids Discover resource. You won't want to miss participating in contest....Just look at the prizes! Who wouldn't want to win a site license of Kids Discover Online or the Kids Discover Print Collection? 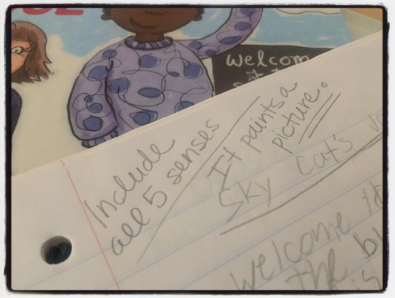 If you are new to Kids Discover Online, it is an online reading platform that brings together amazing social studies and science resources at three different reading levels. There is even an assessments tool which lets teachers customize the content for their students. During the contest, they are offering unlimited free access to those who do not have access to Kids Discover Online! Follow the directions above and this link to get started. 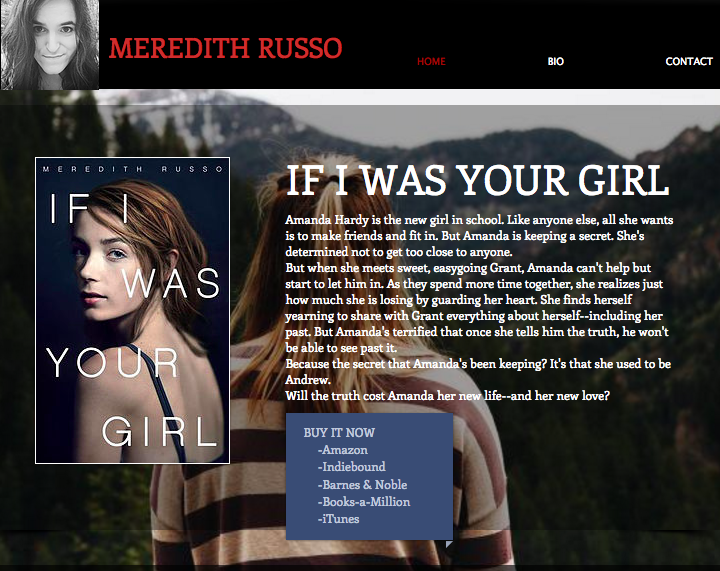 You can find all of these and the links on the contest page. And I am excited to announce that I am one of the judges for the contest, along with two other wonderful educators. You will find all of the Terms and Conditions at the bottom of the page, along with an email for questions. Good luck and show us your BEST cross-curricular lesson using Kids Discover Online! We Kicked Off The 4th Year Of TL News Night With Michelle Luhtala, Meredith Russo & Cantata Learning As Our Vendor Spotlight! This week on September 26, 2016 we kicked off our 4th year of TL News Night. You can watch our LIVE show on the third Monday of each month at 8:00pm EST throughout the school year. 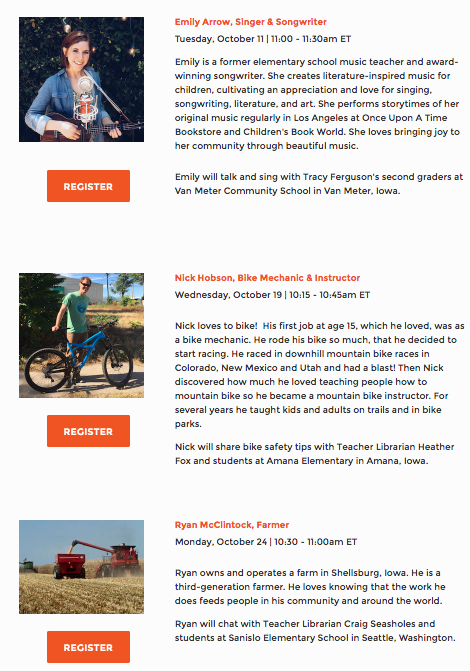 My co-hosts and I host a variety of guests from state organizations, authors, teacher librarian and educational leaders, library vendors and lots more. 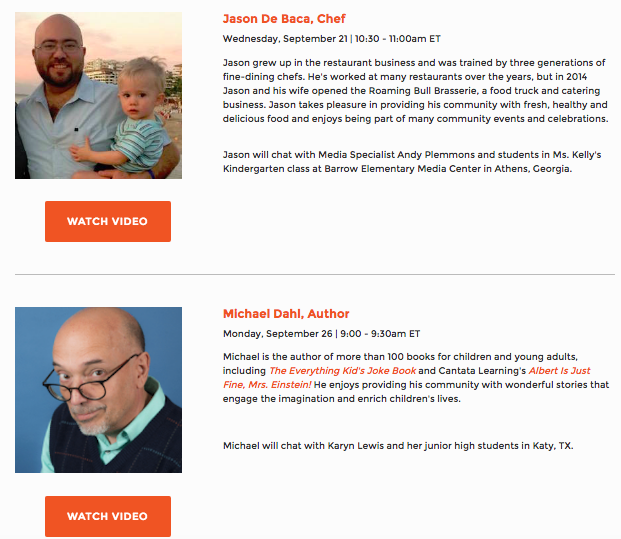 With Banned Books Week and Banned Websites Day here this week, we decided to invite two very special guests onto the show. Our first guest was author Meredith Russo. 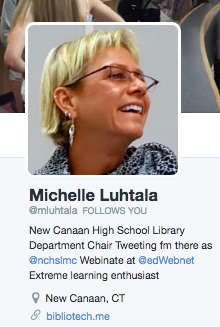 And the second guest was teacher librarian Michelle Luhtala. We had one of the most engaging and honest conversations about censorship, digital citizenship and other important topics in librarianship and education. We have a NEW featured piece at the end of each TL News Night called Vendor Spotlight. 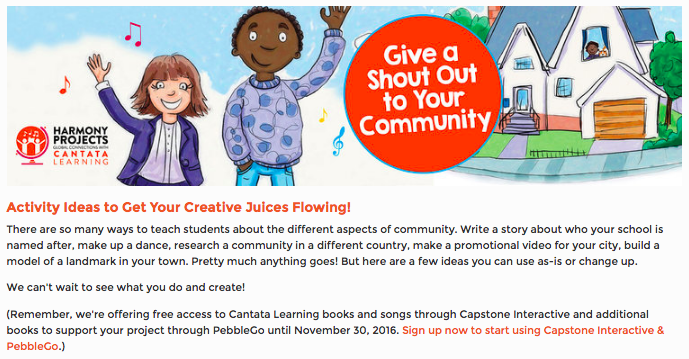 This month I spoke about Cantata Learning, which combines engaging stories, delightful illustrations, and fun songs to captivate young learners, build literacy skills and instill a lifelong love of reading. I was very excited to talk about our current Harmony Project, Give A Shout Out To Your Community. I shared about the project and how everyone can get involved in this giant global community story! Please visit the TL News Night site to find out more about our show. You can watch all of the archives and see the schedule coming up this year. As you can see, this is one hour each month you don't want to miss! We Skyped With A Rapper, Produced A Movie & Gave Back To The Community In Van Meter Today For The Cantata Learning Harmony Project! I started out my day with a few of my 5th grade friends and their teacher Katie Seivert in Van Meter, Iowa. 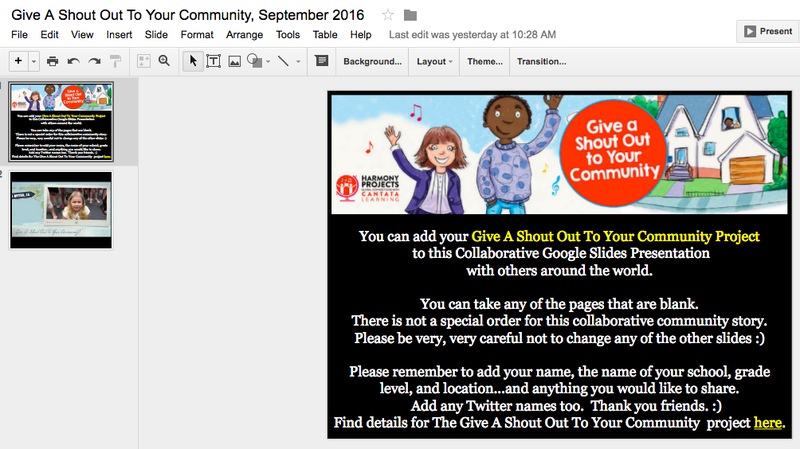 They are participating in the Give A Shout Out To Your Community Harmony Project with Cantata Learning. On Monday, they participated in our second People In Your Community Meet & Greet with author Michael Dahl. You can listen to this with your students too....just go to this link. 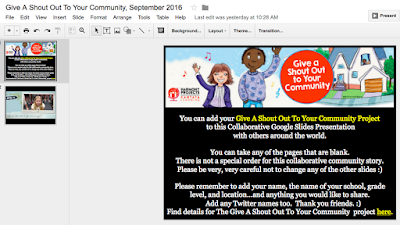 This was the perfect way to kick off the Give A Shout Out To Your Community project. After listening to Michael, the students talked about what type of project they wanted to create to celebrate their community. 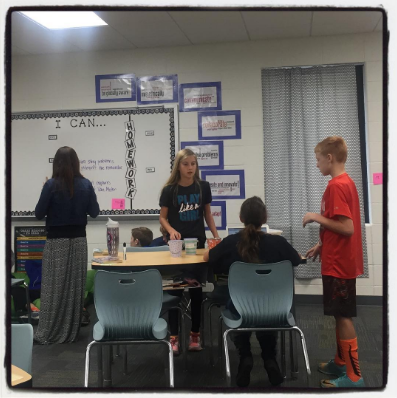 Ms. Seivert's class got into three groups and all week they are working on their part. One group is creating a video about Van Meter. One is creating a rap about Van Meter. And the third is responsible for creating a fundraiser for the How I Help My Community Contest, which is part of the Harmony Project. 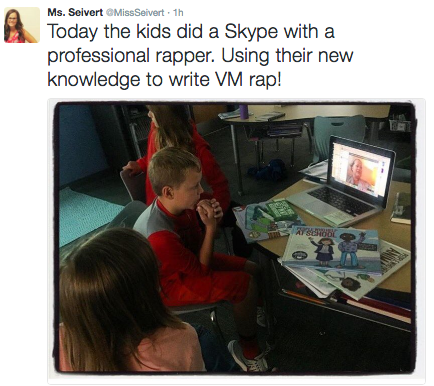 The group writing the rap had a very special visitor on Skype today. They worked with our new friend Desdamona, who is a hip-hop and spoken word artist from Minneapolis, Minnesota, on writing and performing their Van Meter rap. We learned so much from Desdamona as she talked to the kids about what goes into writing a rap and songs in general. She stressed the importance of including all 5 senses when writing a rap because it paints a picture for the person listening. She told them when you write a rap they are usually made up of 2-3 verses with 16 lines each and a chorus of 8 lines. The video above is one idea they came up with for the chorus. It is called a Call and Response. You have to listen to this...it is so much fun. 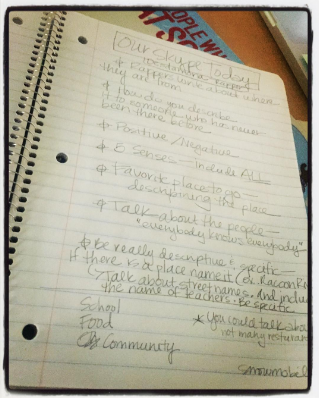 Desdamona also suggested writing Where I'm From poems as they work on their Van Meter rap, which will get them focusing on the details and feelings of their town. She even read one of her own to us. Over the next few days, this small group will work on their rap together and in a Google Doc they started today. They have included Desdamona and myself so we will be able to help them along the way. I can't wait to hear the rap, see the video and celebrate the impact of the community service project. When they have finished their projects, Ms. Seivert will go to the bottom of the project page and click on Submit Your Project. This will take her to the Google Slides presentation we have set up. She will add it to a new slide. Please make sure you include where you are from, the age of the students, and what you teach. She can add as many slides as needed for their project. 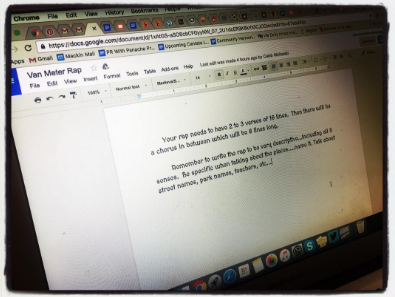 You will all be able to see what the Van Meter 5th graders have created. 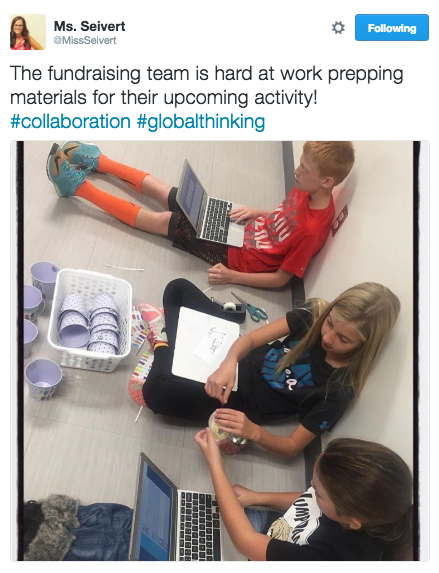 These 5th graders are making an impact in their community and globally with the work they are doing. 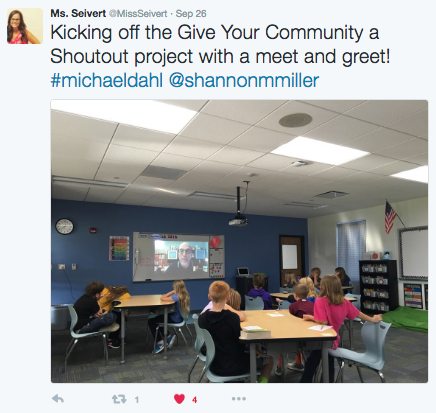 We want your students to do the same so please join our project and Give A Shout Out To Your Community too! New Dot Day Posters and Sayings To Share! A New Site Is Born.....Mackin Classroom!